Monument signs are made from aluminum, brass, bronze, acrylic, stainless steel, stone, or any material of your choice. 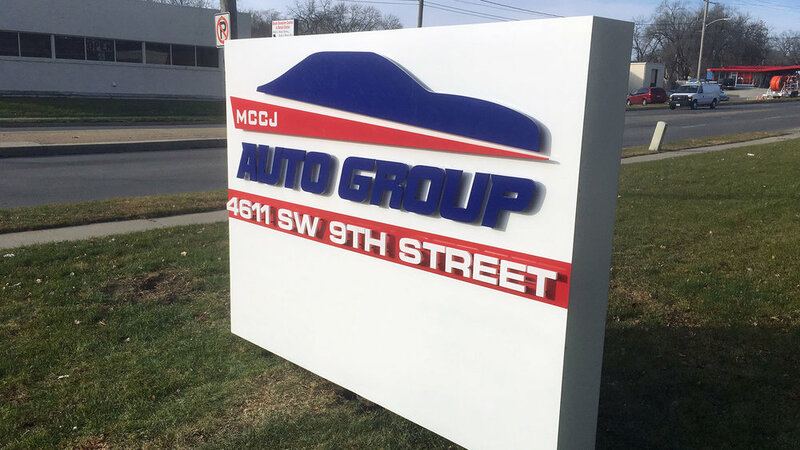 Custom exterior signs can be fabricated to your exact specifications and needs. Metal letters and logos give you the utmost appeal when producing a monument sign for building identification or entrance to your estate or housing development. Long-lasting finishes are a must when producing the image of your choice. Upscale projects or developments are enhanced with the beauty of a monument sign when it is done with quality and taste. Call us at 515.577.7949 for more details. Copyright ©2018, Timothy R. Neal, Graphic Designer. Specializing in vinyl graphics, banners, and sign installation.